If you are an ACMA, CGMA or have completed your CIMA exams, and can demonstrate at least three years' senior, strategic or technical leadership experience, you can apply for CIMA fellowship. 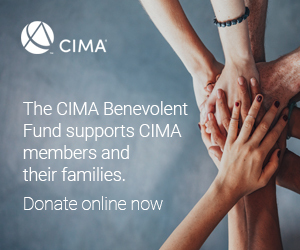 As a CIMA fellow you will be part of an elite group of business professionals. Once your fellowship application has been approved, you can use the letters FCMA after your name. Strategic leadership: for the purposes of an FCMA application 'strategic/strategy' means contributing to original strategic decisions that are adopted by the organisation and which affect its future direction and success. Strategic experience is not the implementation or updating of processes that result from strategic decision-making by others or long service in a management accounting role. Technical leadership: experience of successfully developing technical thought leadership within an organisation and being accountable for providing advice on technical issues and matters at board level, or to directors/managers who themselves are at board level. Operational/functional leadership: experience of successfully leading and developing significant operational/functional areas within an organisation and being accountable for achieving business objectives at board level, or to directors/managers who are themselves at board level. Analysing, interpreting and presenting reports - to board level - on the current and likely future performance of your organisation. Continuing professional development, including any activities or courses you have attended to keep yourself up to date with technical developments in the profession. Please refer to the fellowship guidelines (PDF 30KB) for more information. How do I record my experience? Where do I send my application and fee? We will acknowledge receipt of your application, and then write to you, within six to eight weeks, with the decision. Please keep a copy of your application for reference. Your application will be assessed by two CIMA fellows. They will review your experience and award fellowship if they believe you have gained the necessary experience. If the assessors are unable to agree fellowship, they will give you a reason for their decision and advise you if additional information or experience is needed.